Christensen Arms announced new calibers and color options are making their way onto the lightweight Modern Precision Rifle series. The Modern Precision Rifle will now offer .223 Rem. in both 16-inch and 20-inch barrel lengths. Christensen Arms says the .223 model delivers a standard short-action receiver and ships with a AICS compatible 10-round polymer magazine. In addition to the new .223 caliber, Christensen Arms is set to release a new color for its Modern Precision Rifle. The palette now offers an anodized Desert Brown in addition to the standard black hardcoat anodized finish. The company says the new color brings some life into the line as well as retaining durability. 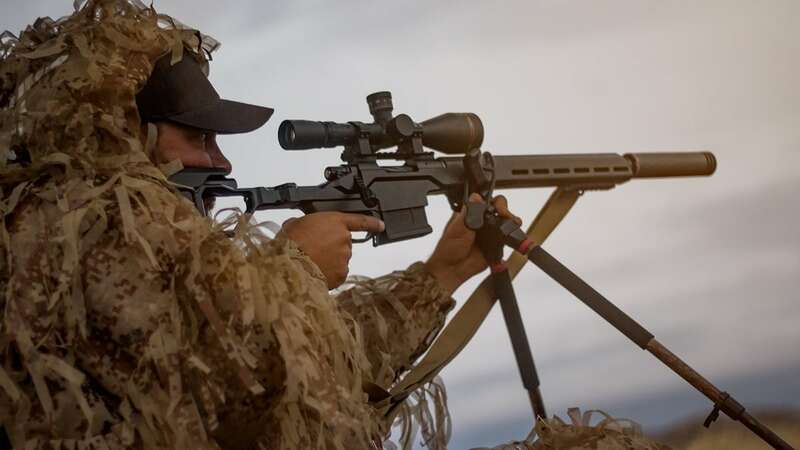 Christensen Arms’ Modern Precision Rifle features an ultra-lightweight chassis with carbon fiber barrel, carbon fiber comb and free-floating carbon fiber handguard. The rifle also boasts a 20 MOA rail for accessory mounting. Weighing in at 6.9-pounds, the rifle opts for a black nitride finished action in addition to a black nitride stainless steel side-baffle muzzle brake. The Modern Precision Rifle starts around $2,295. The post Christensen Arms releases new caliber, color options for Modern Precision Rifle appeared first on Guns.com.